The Laurel Mechanical Contractors Association, Incorporated, is a non-profit corporation formed in 1973. Membership is comprised of highly qualified specialty mechanical contractors engaged in design, fabrication, installation and service/maintenance of mechanical and mechanically related systems and equipment. The geographic area represented by the association encompasses the Pennsylvania counties of Bedford, Blair, Cambria, Cameron, Clearfield, Elk, Fayette, Huntingdon, Indiana, Jefferson, Somerset, Westmoreland and the eastern parts of Greene and Washington. The association's office is centrally located in Ligonier, PA.
Laurel MCA assists in the advancement of the mechanical contracting, service, maintenance and related industries through securing the cooperation of the various persons and firms engaged in such businesses and collecting, correlating and disseminating lawful and proper information of value to them. Maintaining and enhancing positive labor and management relationships with Plumbers and Pipe Fitters Local Union 354 through continual, open and honest dialogue resulting in the best possible working environment within the construction industry. 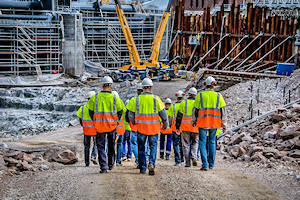 Assisting and cooperating with contractor members in matters dealing with all branches of the construction industry including, but not limited to, other employer trade associations, other trade unions, governments, architects, professional engineers, manufacturers, suppliers, and financial institutions for the purpose of mutual advantage and for the benefit of the industry as a whole. To offer, sponsor, and/or co-sponsor continuing education that helps contractor members maintain a competitive advantage by staying updated with the ever changing technology and advancements within the highly technical field of mechanical construction. Making available the use of better materials and methods within the industry. To maintain sound public relations for the industry. Advancement and promotion of the mechanical construction industry within southwestern Pennsylvania. Maintain positive labor relations within the industry through continual open and honest dialogue. Promotion of positive relationships between private owners, public bodies, architects, engineers and related industry professionals and institutions. Provide membership with updated information regarding current trends and industry issues. Continually improve the knowledge and skills of contractor's workforce through continual training, education, apprenticeship and seminars. Monitor and promote legislation that positively impacts the mechanical construction industry. Project completion on time and on budget. The most safety conscious workforce and job-site. Systems installed right the first time and for the life of the facility. Drug and alcohol free workforce and job-site.